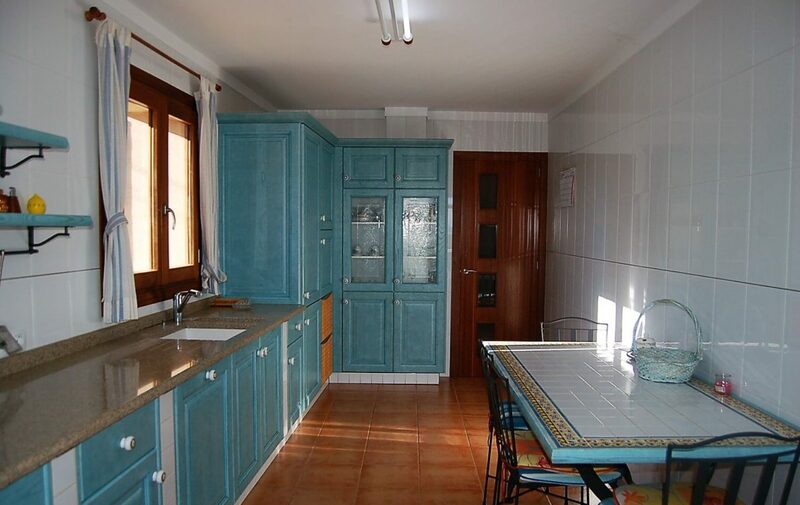 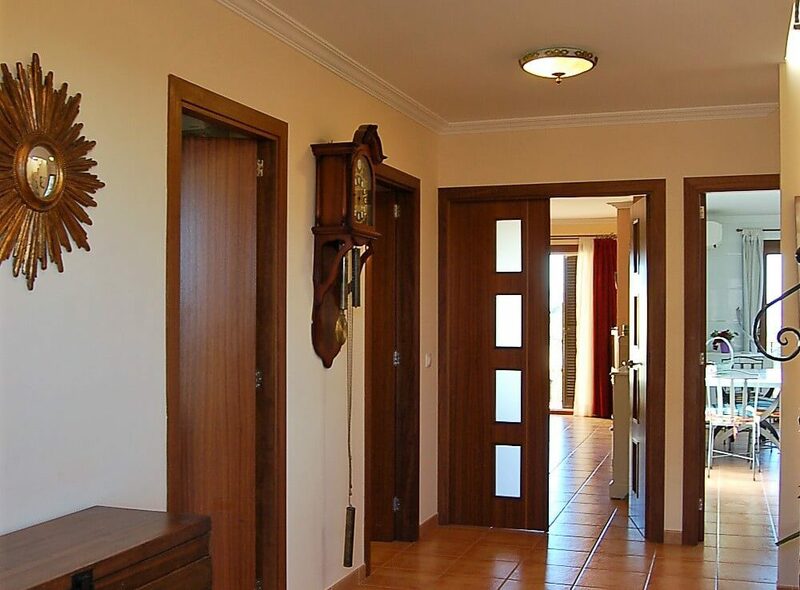 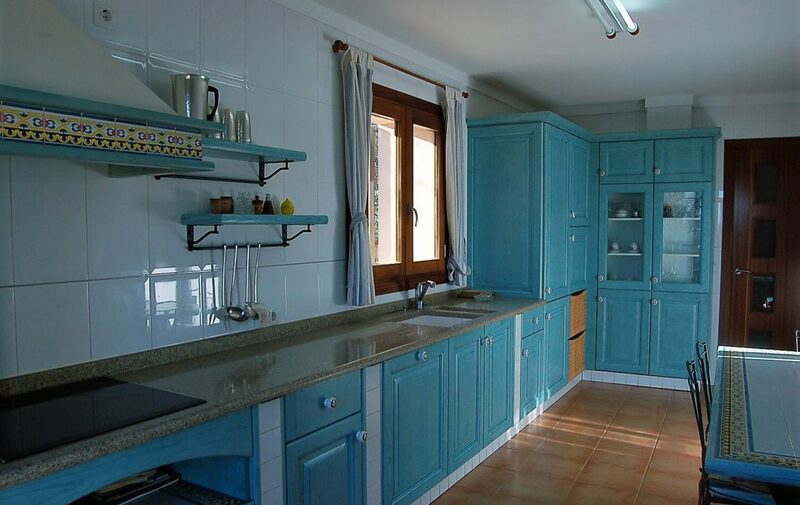 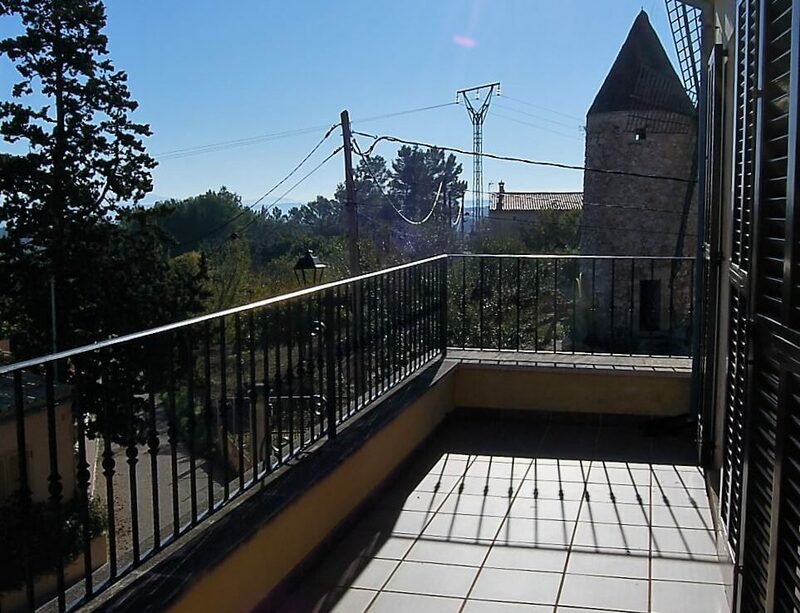 In the upper area of Campanet and a cul-de-sac which makes it very quiet, we have this marvelous semi detached house, built in 2007 to a very high standard. 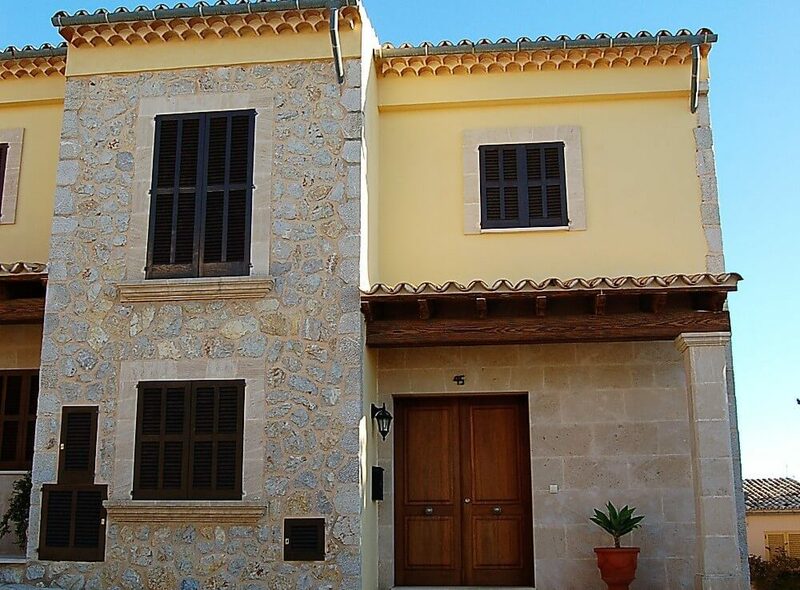 The facade of the house, is clad with stone from the local quarry. 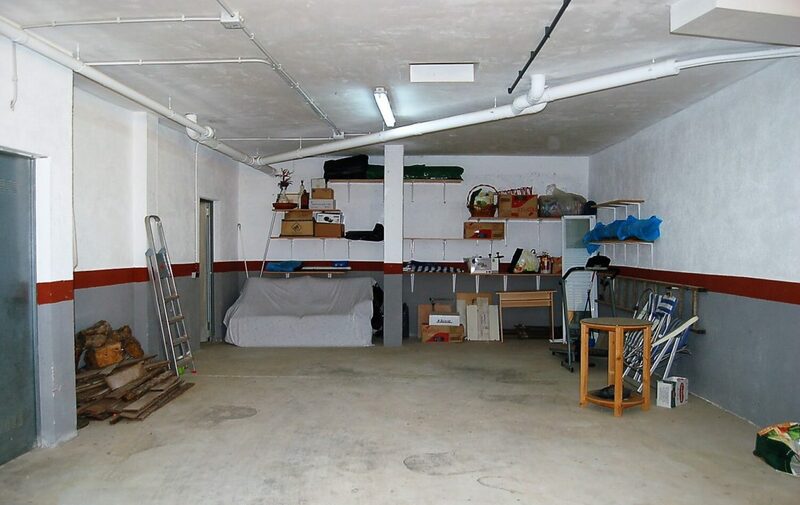 fits two cars and storage room. 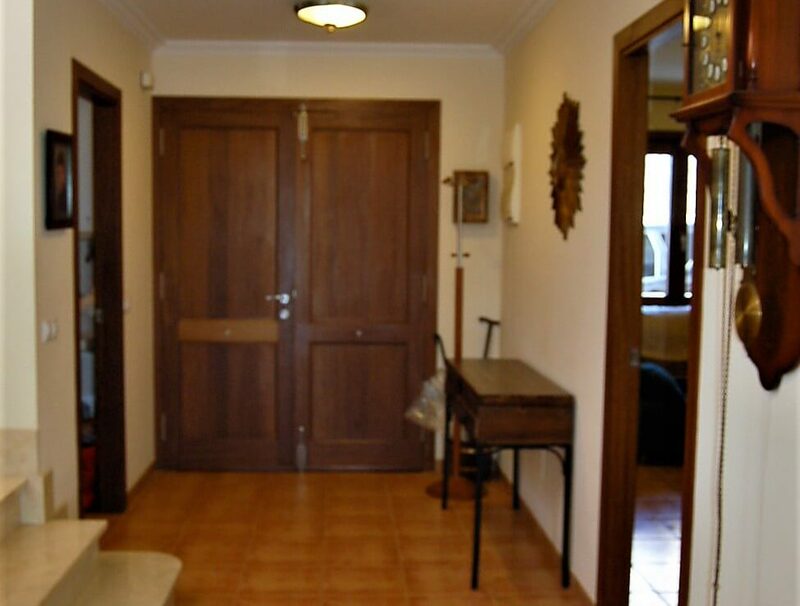 There is a large entrance hall with laundry room, double bedroom with fitted wardrobes, bathroom with shower, beautiful fully fitted “long” kitchen with breakfast area, that also has access to the rear garden, staircase to the first floor, living room with open fireplace and sliding glass doors which lead to the terrace of 15 m2 that gives access to the pool area with spectacular views of the valley and that stretches as far as Alcudia. 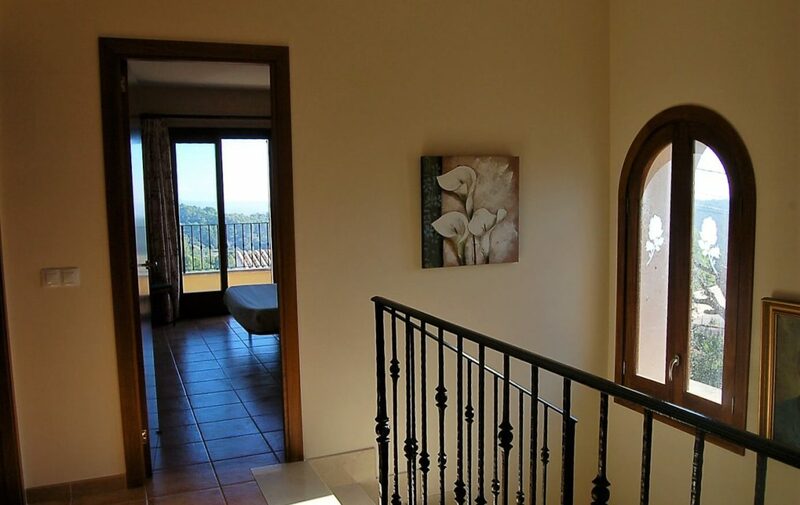 On the first floor there are three double bedrooms with fitted wardrobes, two of them with access to upper terrace of 15 m2 with incredible views of the valley and countryside, and two full bathrooms one of them en suite. 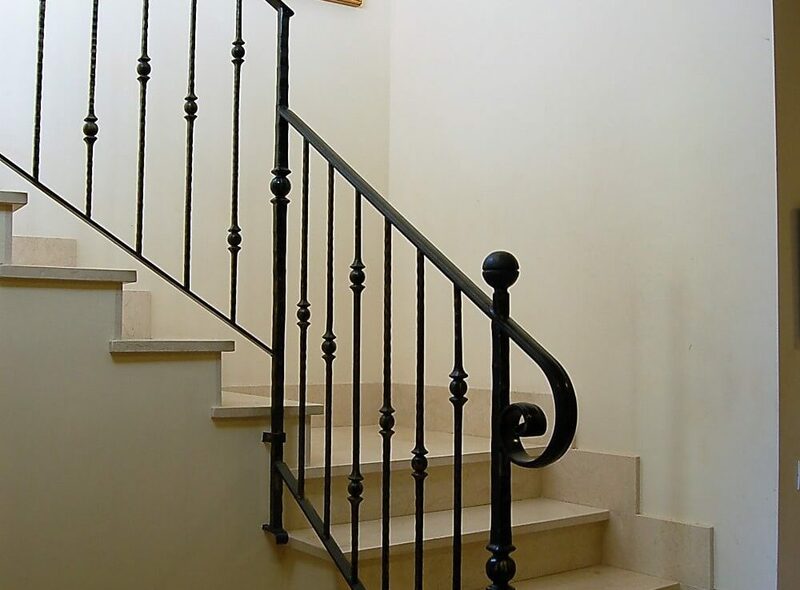 The garage area is accessed directly from the house by internal stairs. 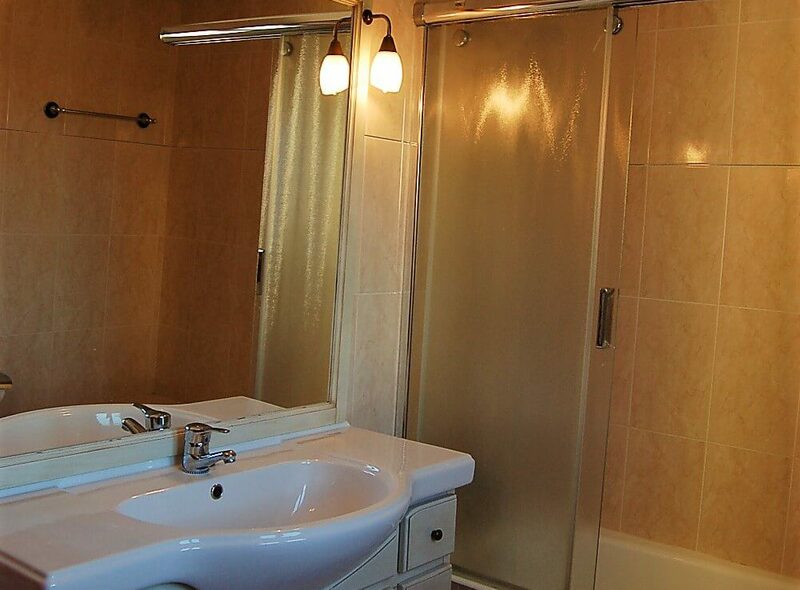 There is A / C hot and cold in all rooms, doors and windows of Iroco, double glazing throughout, tiled floors and marble staircase. 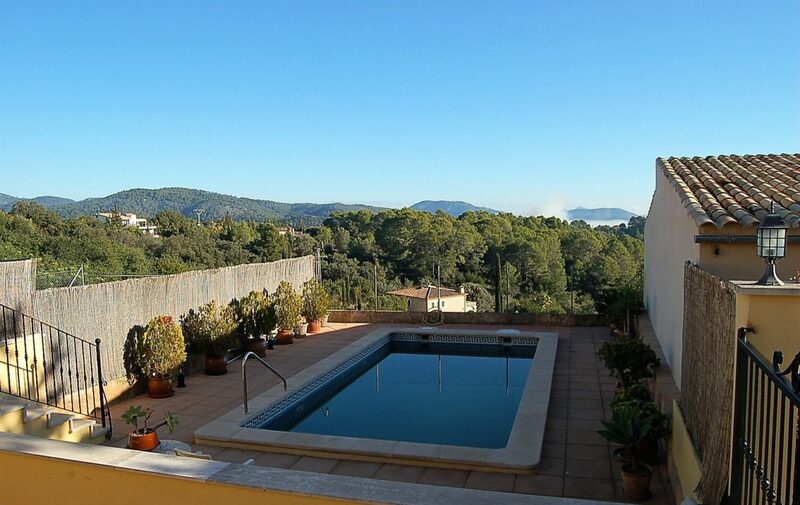 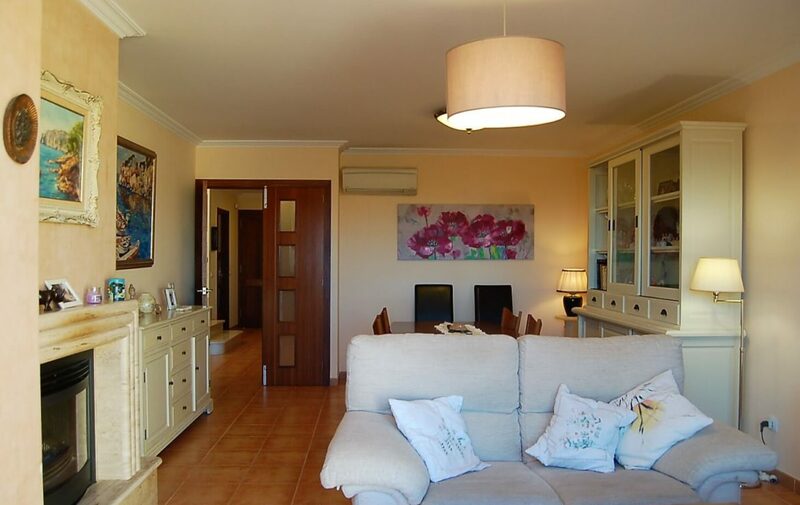 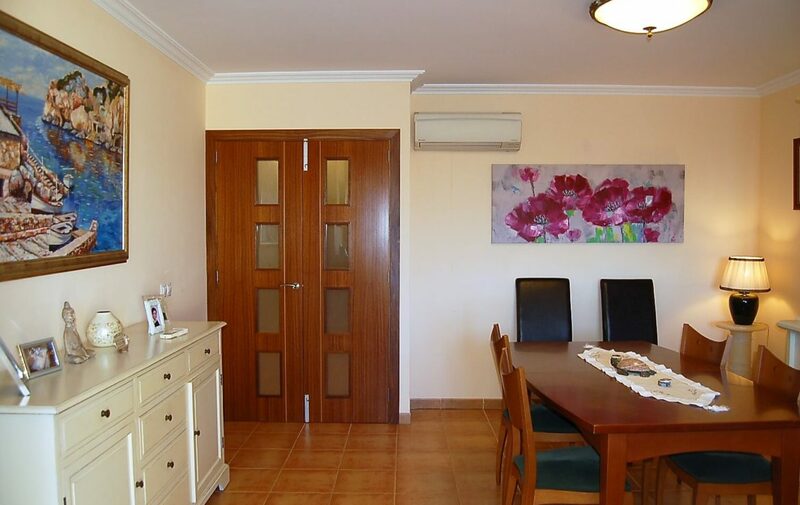 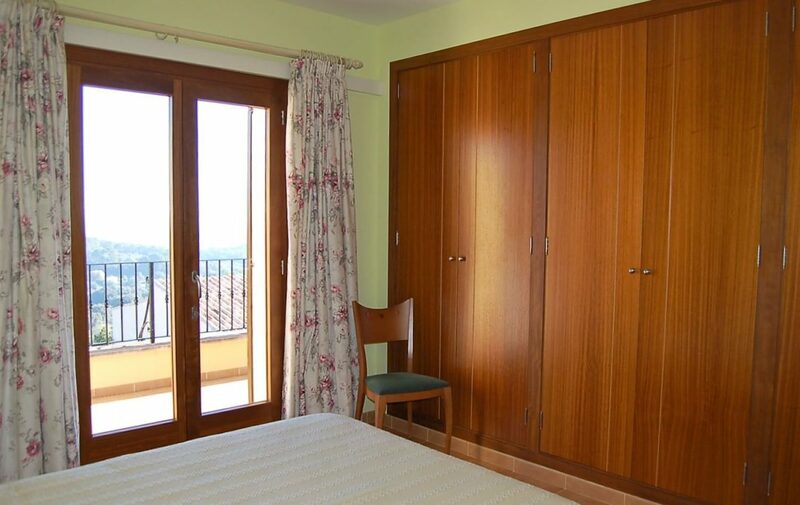 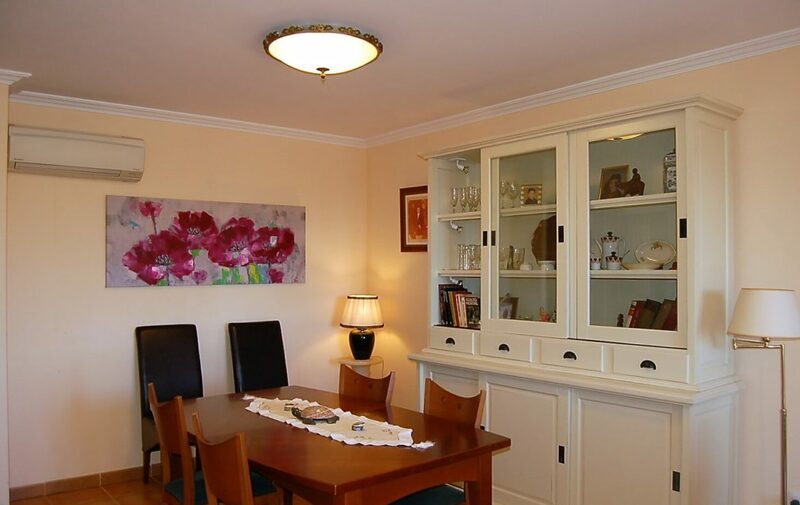 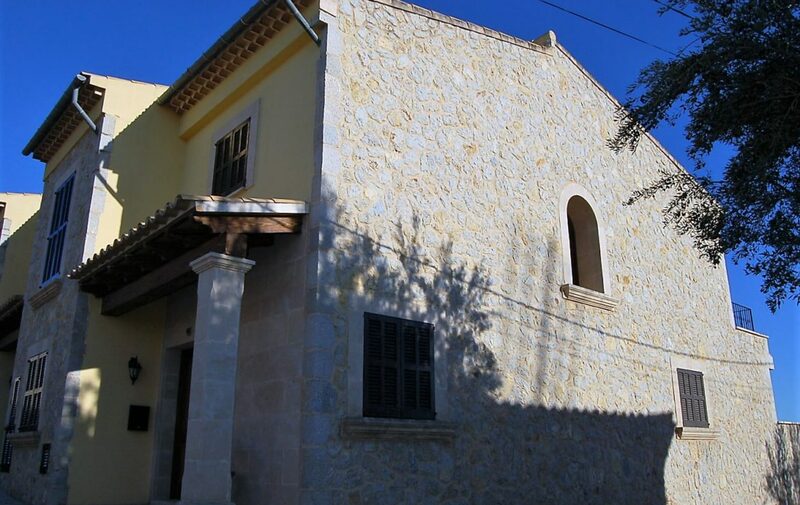 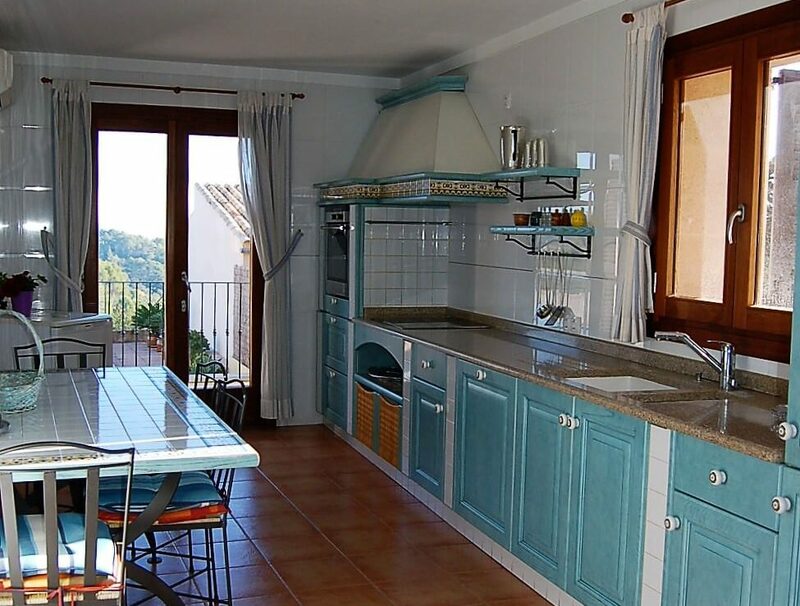 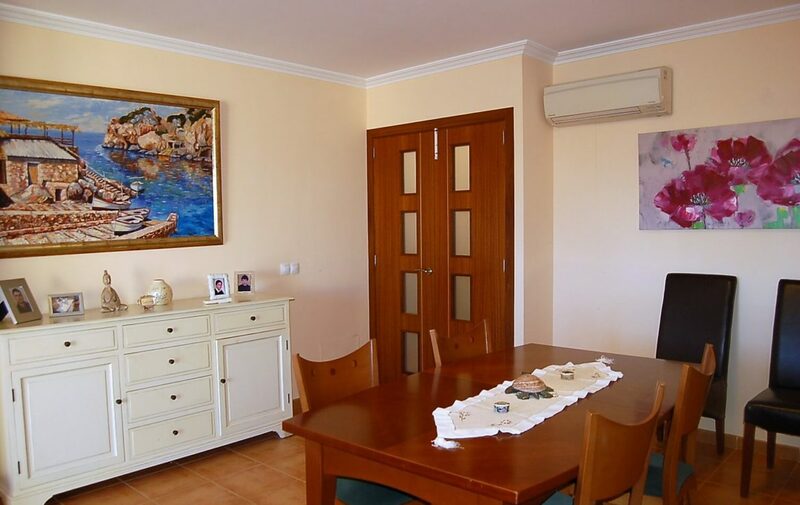 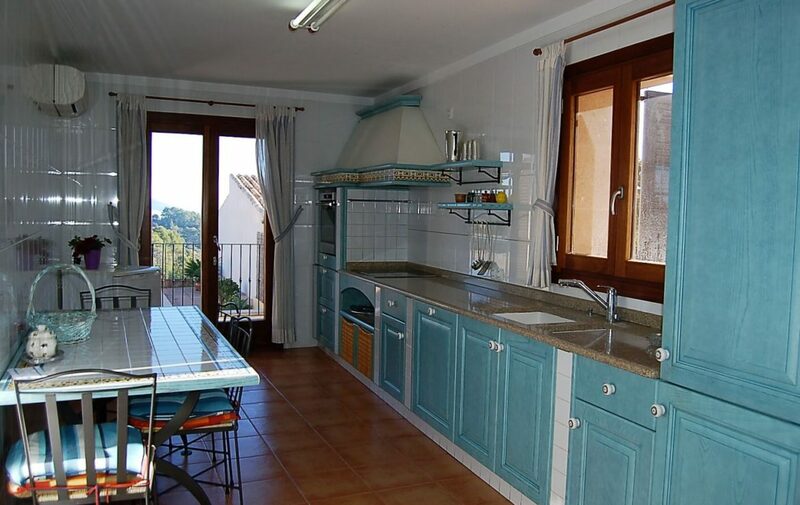 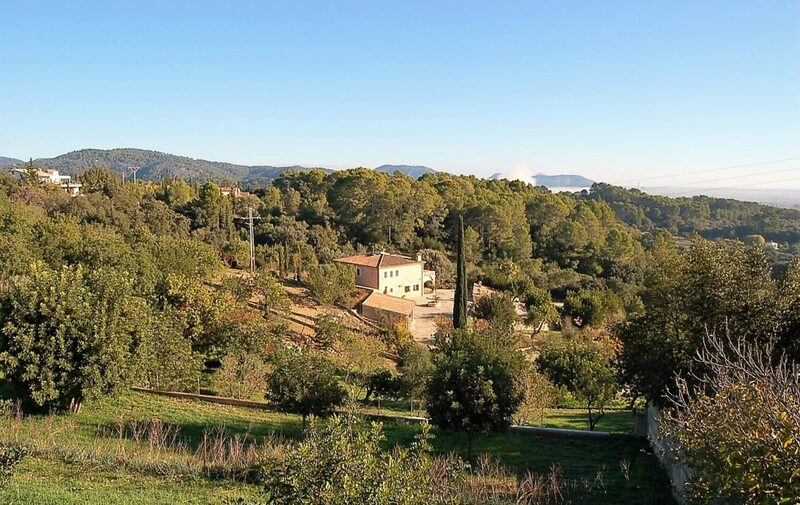 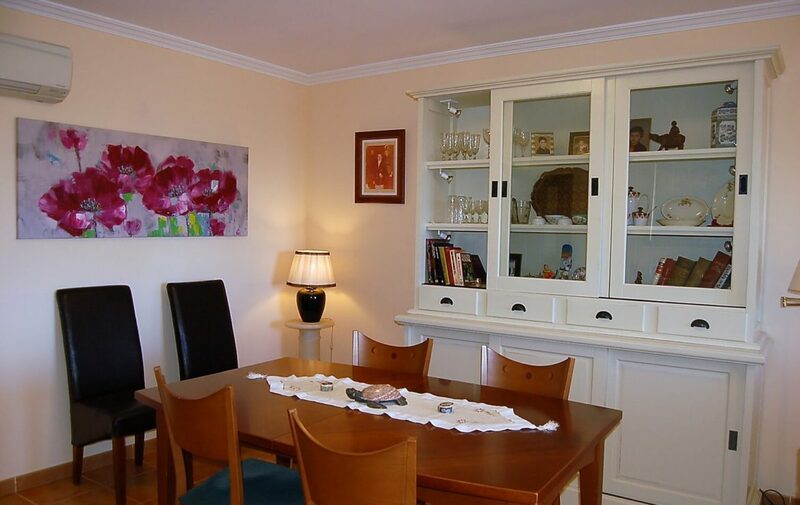 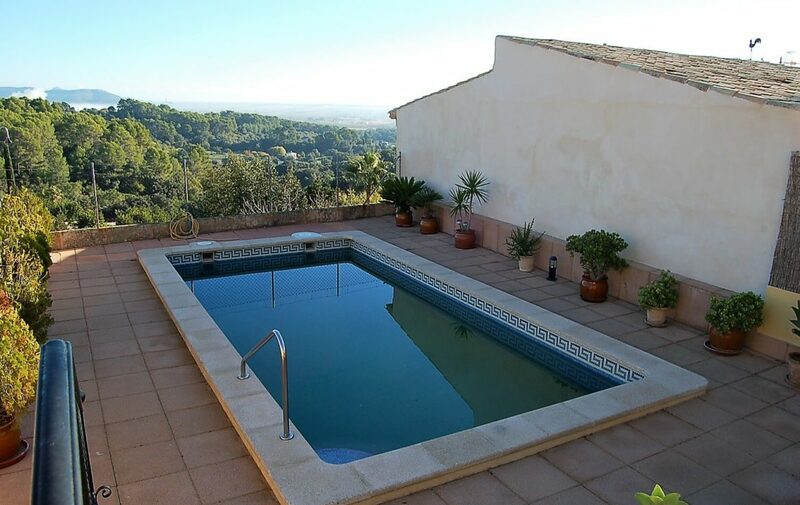 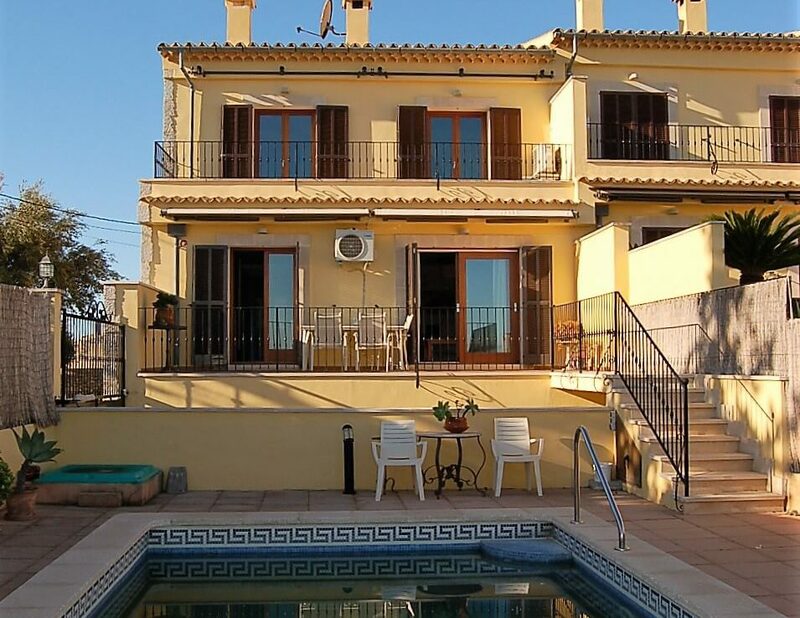 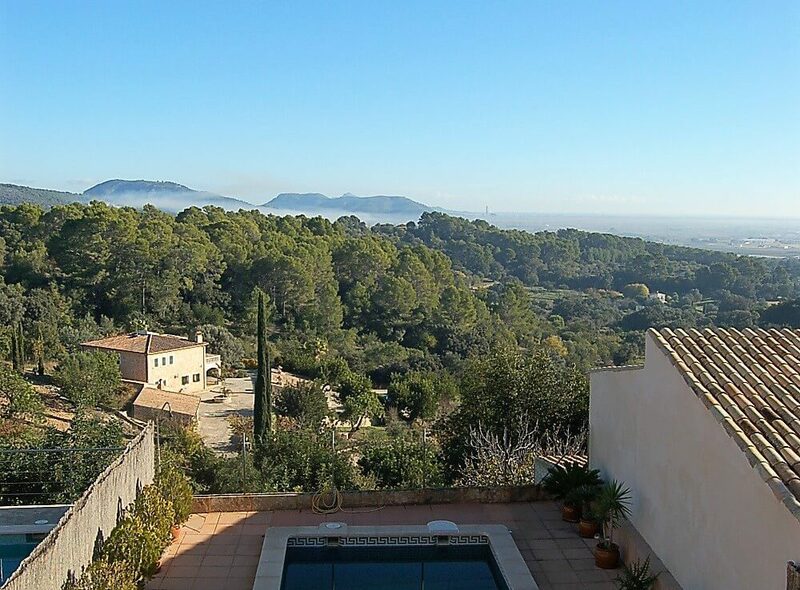 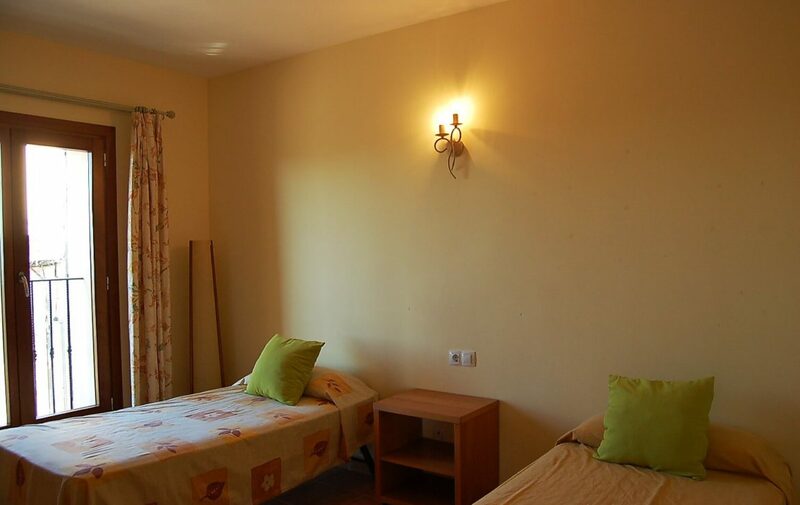 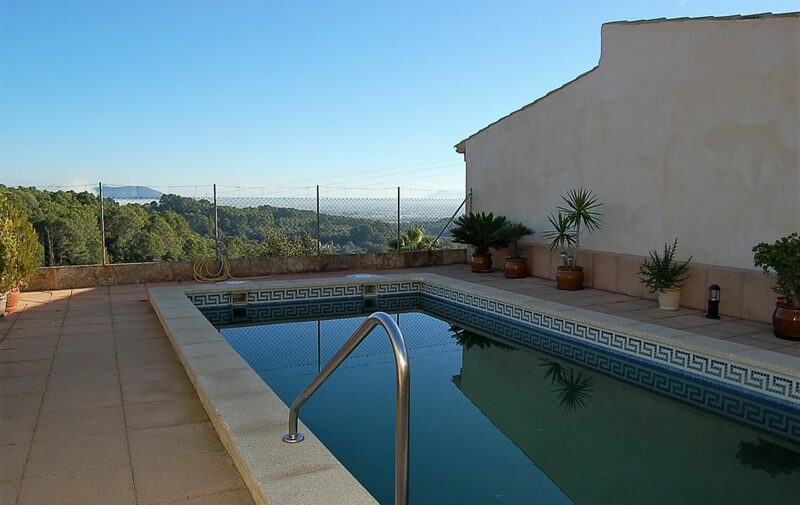 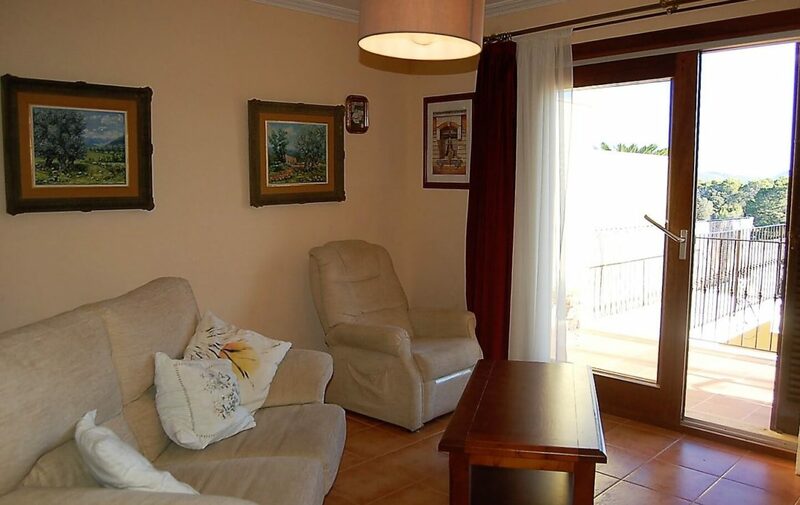 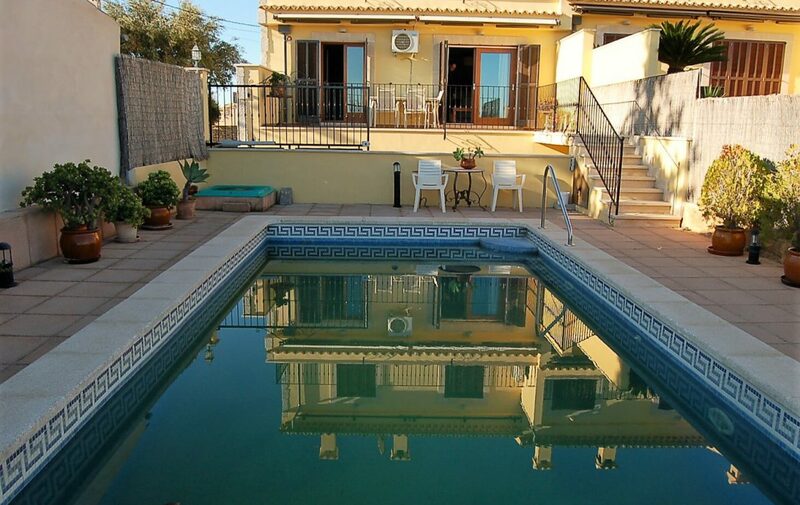 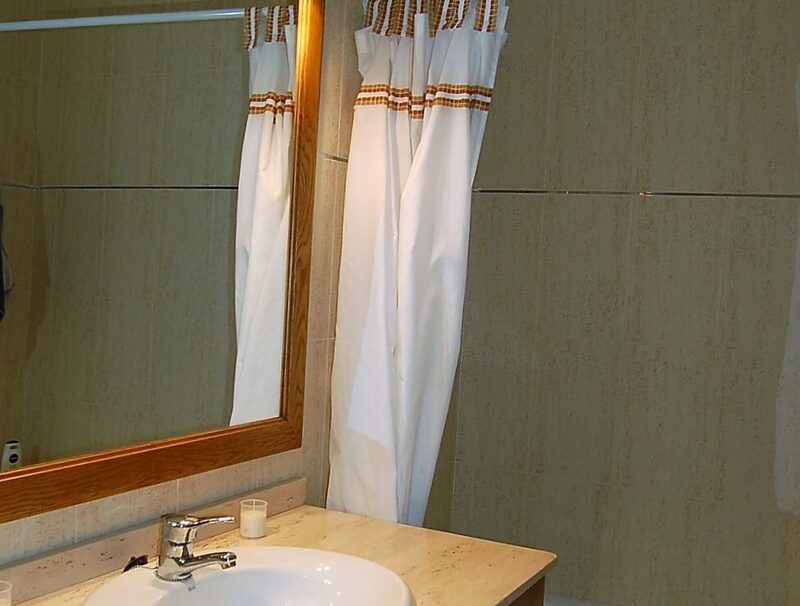 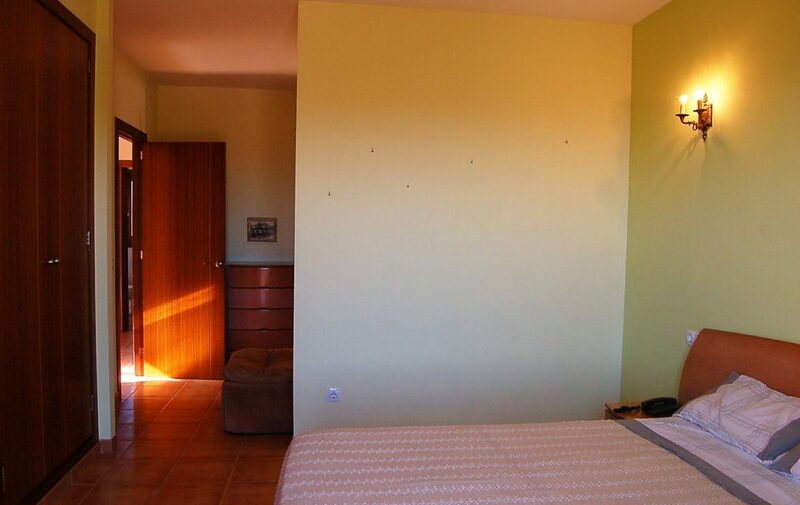 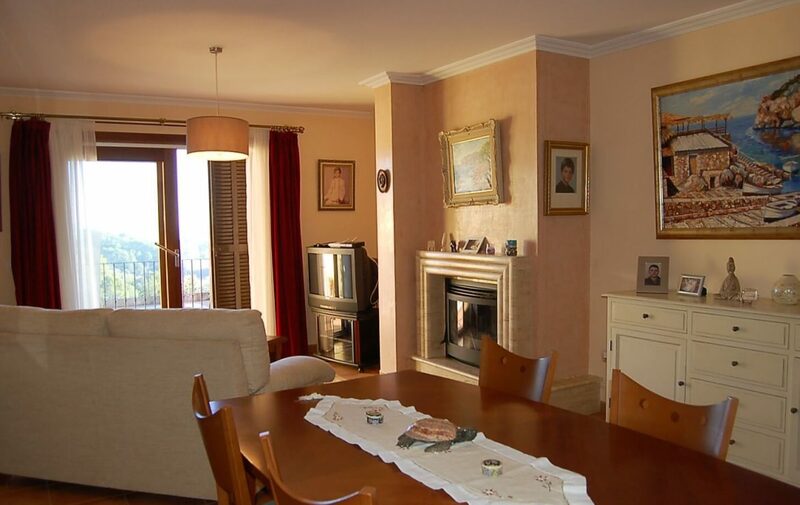 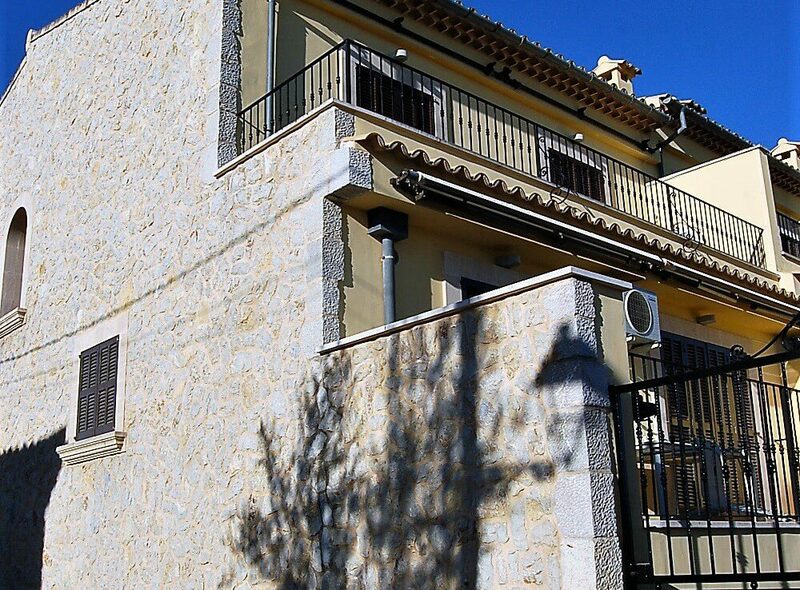 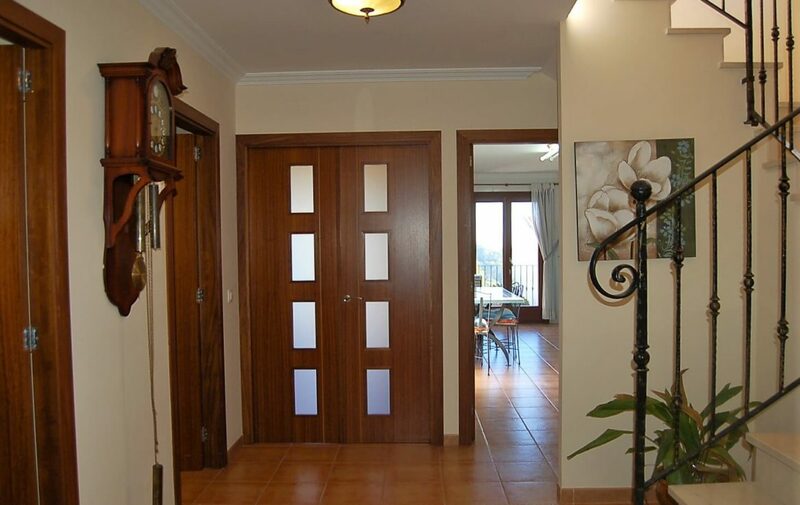 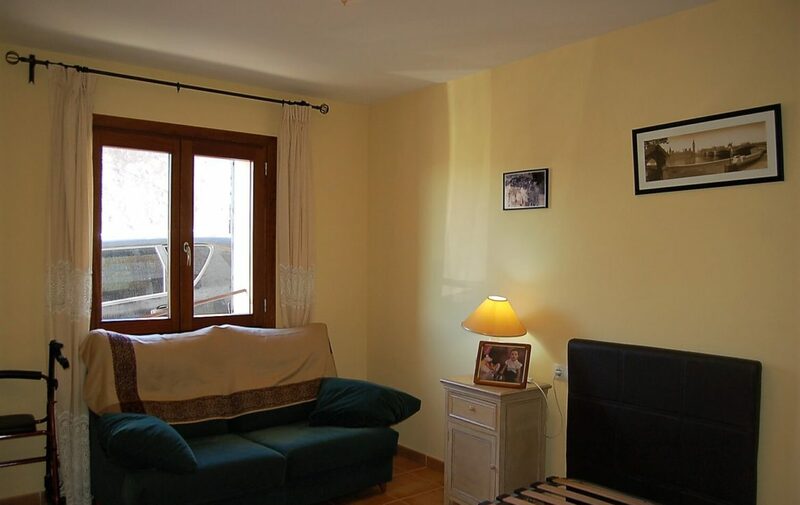 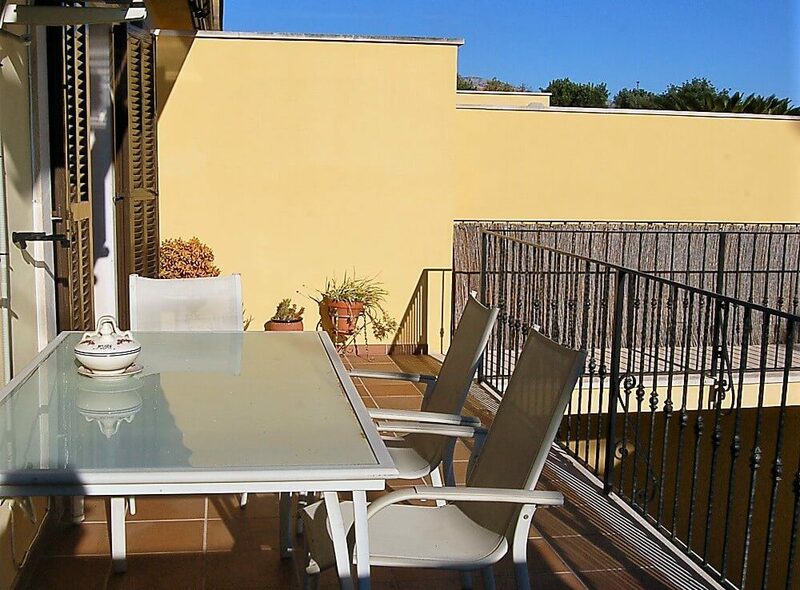 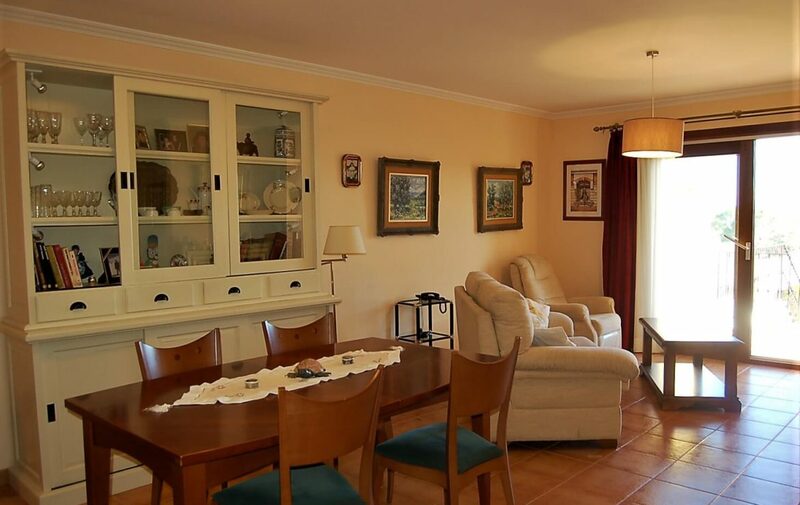 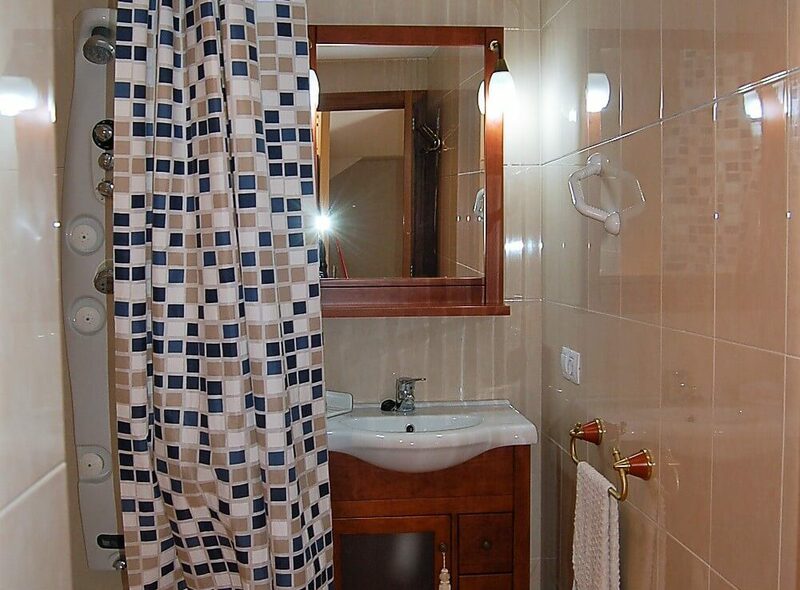 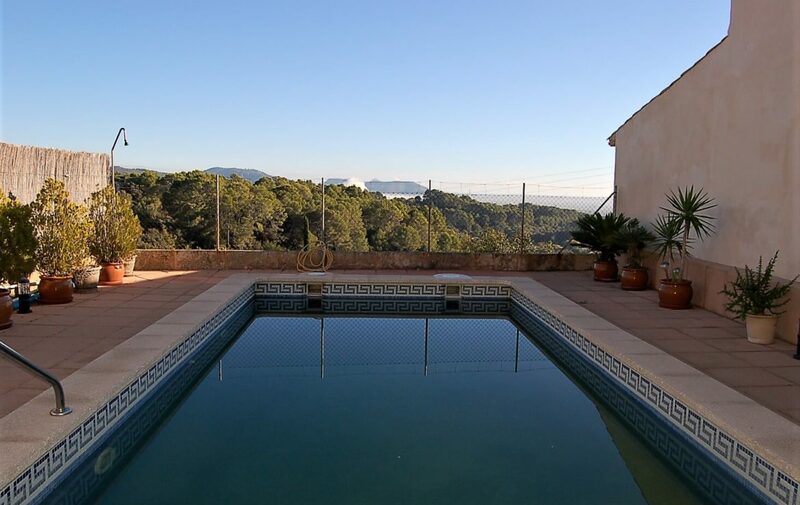 It is located in the picturesque village of Campanet, which has a very friendly environment and shops and restaurents, and 20 minutes to Palma by the motorway.